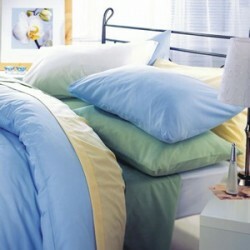 Duvet Sets for 4ft Small Double Beds in a range of vibrant colours in our small double bedding collection. UK Manufactured in luxury 200 thread count poly cotton percale. Lincoln White Small Double Duvet Cover & Pillow CasesDuvet Cover ideal for 4ft, 3/4 Beds. B..
Prism Small Double Duvet Cover & Pillow CasesDuvet Cover ideal for 4ft, 3/4 Beds. Beautiful..
Rahil Duvet Cover & Pillow Cases for 184 x 220cm DuvetDuvet Cover ideal for 4ft, 3/4 Beds in sof..
Waffle Weave Slate Small Double Duvet Cover & Pillow CasesDuvet Cover ideal for 4ft, 3/4 Beds.&n..
Waffle Weave White Small Double Duvet Cover & Pillow CasesDuvet Cover ideal for 4ft, 3/4 Beds.&n..
Small Double Duvet Cover & Pillow CasesDuvet set for 4ft, 3/4 beds100% Cotton Duvet Cover Set.Si..
Small Double Duvet Cover & Pillow Cases - 1000 Thread Count - White1000 thread count 100% c..
Small Double Duvet Cover & Pillow CasesDuvet Set for 4ft, 3/4 Beds in Easy Care 200 Thread Count..
Grace Small Double Duvet Cover & Pillow CasesDuvet Cover ideal for 4ft, 3/4 Beds. Beautiful..
Small Double Duvet Cover & Pillow Cases - 100% CottonDuvet Cover for 4ft, 3/4 Beds in 400 Thread..
Small Double Duvet Cover & Pillow Cases - 100% Cotton Satin Stripe540 thread count Small Do..
Amour Floral Small Double Duvet Cover & Pillow CasesDuvet Cover ideal for 4ft, 3/4 Beds. De..
Brompton Small Double Duvet Cover & Pillow CasesDuvet Cover ideal for 4ft, 3/4 Beds. Beauti..
Chatsworth Small Double Duvet Cover & Pillow CasesDuvet Cover ideal for 4ft, 3/4 Beds. Beau..
Dahlia Small Double Duvet Cover & Pillow CasesDuvet Cover ideal for 4ft, 3/4 Beds. Beautifu..
Eton Small Double Duvet Cover & Pillow CasesDuvet Cover ideal for 4ft, 3/4 Beds. Beautiful ..
100% Cotton Duvet Cover & Pillow Cases for 184 x 220cm DuvetDuvet Cover ideal for 4ft, 3/4 Beds ..
Chatsworth Long Single Duvet Cover & Pillow CasesDuvet Cover ideal for 4ft, 3/4 Beds. Beaut..